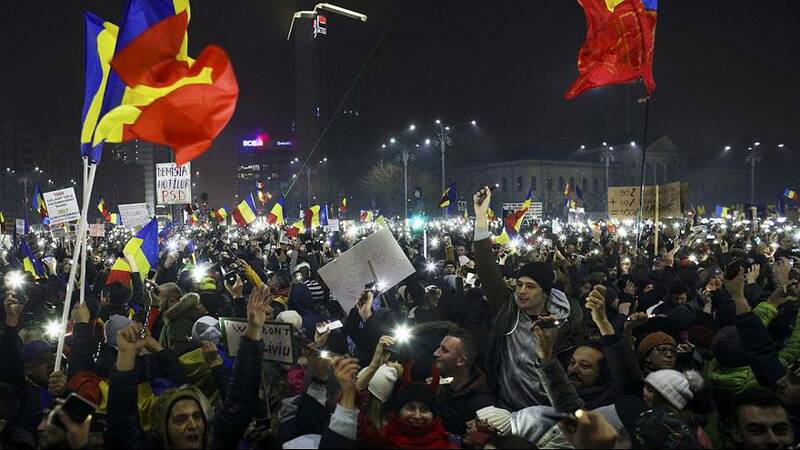 An estimated half a million people have once again held rallies across Romania despite the government backing down over a controversial decree. Earlier the Social Democrats scrapped a measure which would have protected many politicians from prosecution for corruption. But protesters still appear to be dissatisfied about a revised version of the bill and some are calling for the government to resign. Tudor Chirila is an actor and singer who has emerged as a voice for the young in these protests. The decree would have decriminalised abuse of power offences where sums of less than 44,000 euros were involved. The government said its chief aim had been to relive pressure on Romania’s overcrowded jails. President Klaus Iohannis who had urged the government to scrap the measure is expected to make a statement on Monday (Feb 6).